Well, this just makes us miss him more than ever. Joe Biden reportedly autographed a Biden-Obama meme for one of his fans, which is basically the best Monday news ever. While Biden memes have been around for awhile, they really started ramping up right before Barack Obama left office. They usually consist of random photos of the pair with hilarious captions underneath. They’re also usually made with the utmost love and respect, and — even better — they symbolize the strong friendship and bond that Obama and Biden shared while in office together. The photo of the signed meme appeared on Imgur, and needless to say, people were impressed. (And of course, there’s a small chance this is a forgery, but this definitely looks like it’s Biden’s actual signature.) Plus, this definitely seems like something Uncle Joe would do. The user who uploaded the photo wrote that Biden lives right by where his mother works, and his mother agreed to ask Biden to sign a print-out of the meme if he ever came in. Even better, it looks like Biden personalized the message, writing, “Still good friends. Always be loyal.” Wise words from a wise man. Also, OMG LOL he signed it! Let’s take a look at some of our other favorite Obama-Biden memes — for old time’s sake. "No, Joe the debate is on"
"Just turn to ESPN real quick. 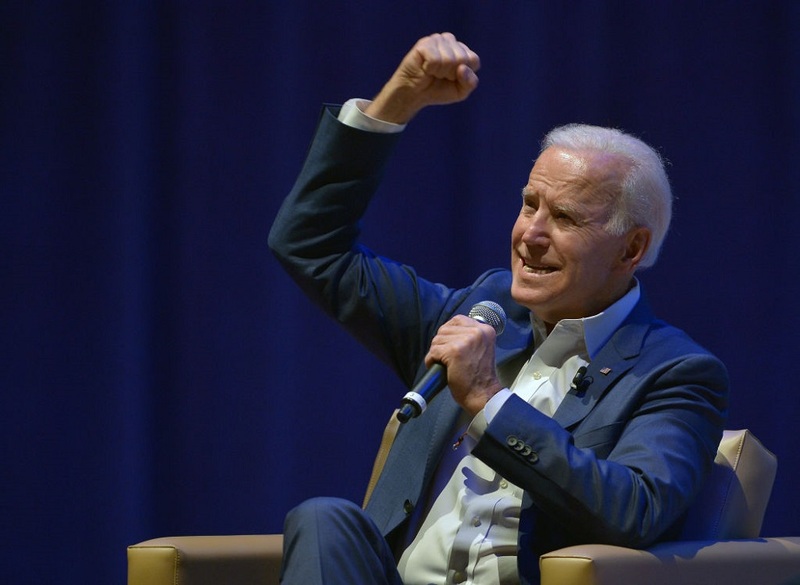 I wanna see the score"
"You have your own TV"
According to the Chicago Tribune, Biden once addressed the Biden-Obama meme phenomenon by admitting they’re “basically true,” making us love them even more. Memes or no memes, these two will always be the definition of friendship goals.